In an earlier article (http://www.afroarticles.com/article-dashboard/Article/There-is-no-Kurdish-Nation—it-is-a-Freemasonic-Colonial–Orientalist-Hoax-/259228), I explained the reasons for which there are no Kurds, and that the notion of a Kurdish nation is a Freemasonic Orientalist hoax geared to put under an impossible umbrella many different nations spanning from Anti-Taurus Mountains to Syria, Mesopotamia and the Zagros Mountains. The Hoax of a Kurdish Nation is not however the first of this kind. The first Orientalist hoax was that of the Arabic Nation. This forgery dates back to the late 18th and the 19th centuries and served as an example in the aforementioned article. … the colonial academia and diplomats make sure that a vast confusion and deception prevail in the minds of targeted nations only to serve as the wrong foundation for further theoretical, intellectual, ideological and political disorientation. I then briefly expanded on the Arab Nation Hoax, before focusing on the identity, the socio-political milieu, attitude and targets of the diverse nations, which for the needs of the Kurdish Nation Hoax became ‘Kurds’. The revelation of the non-Arab identity of the misfortunate nations that have been labeled ‘Arab’ by the Orientalist forgers triggered the interest of several readers, who wrote to me, because they had heard totally different presentations while studying in different universities in the region. To answer their questions and illuminate the topic more extensively, I decided to come up with a summarizing, yet all-encompassing text which, although unable to fully cover the subject, offers a panoramic view of the fundamental historical realities and their existing dimensions and ramifications. I will therefore first re-publish the part of the previous article which concerned the Arab Nation Hoax, then quote the questions included in the mails that I received, and finally expand properly. Similarly, Egyptians are not Arabs, but Hamitic Egyptians or ‘Copts’, if you want, who in different eras accepted Islam and gradually abandoned Coptic language. Egypt south of Assiut was still Christian for almost 300 years after Prophet Muhammad died. Today, there is no ethnic difference between Christian and Muslim Egyptians; literarily speaking, the country is inhabited by Christian Copts and Muslim Copts. 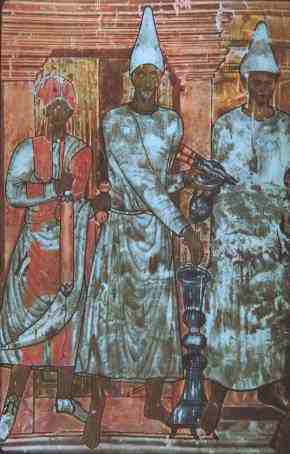 In the same way, the ethnic origin of today’s Sudanese is Kushitic (Kushites being a branch of the Hamitic nations) or Nilo-Saharan; Sudan’s Kushites are Arabic-speaking natives, because after accepting Islam, they gradually abandoned Christian Sudan’s Makurian and Alodian Kushitic languages, which were later forms of Meroitic. i.e. the pre-Christian Sudan’s language which was written in hieroglyphic and linear characters. Linguistic Arabization is indeed a very recent phenomenon for Sudan’s Kushites, because the Christian state of Makuria lasted until the 14th c. and the Christian state of Alodia collapsed only in the late 16th c. On the other hand, the Nubians in the North and other Nilo-Saharan peoples in other parts of Sudan preserved however their languages down to our times, as Arabic is merely a religious language to them. Simply amazing, dear Dr. Shamsaddin! I am astonished with your deep knowledge of the region and its history of ethnic components. But, as far as I know from the History of the Middle East that we have been taught at Al-Bayt University (Jordan), even before the Islamic expansion (al-futuhat al-islamiyya), some Arabic tribes did come out of Arabian Peninsula to live at the Northern parts, such as Palestine and Jordan. Or, at least, after the Islamic expansion, most of the tribes of Adnan (Northern Arabs) or Madar and Qahtan (Southern Arabs from Yemen) moved to Iraq, Sham and Egypt with the armies and settled there. So, that is one of the reasons why the autochthonous populations were Arabized. The Qahtan tribes or the Yemenites settled mostly in Iraq, and the Madar tribes inhabited mostly Sham (Levant). And even after their Islamization, these tribes carried with them some of the historic enmity that pre-existed between them and which was revived in the wars between Ali and Mua’wiyyah, and later in the wars between the Umayyad dynasty and the Shia (partisans) of Ali and his successors. This is known in the books of literature and history as the hate or enmity between Ahl al-Sham and Ahl al-Iraq. So, I am little bit perplexed hearing that the Arab populations are hoaxes of Orientalist Freemasons. But, of course, I do not exclude that possibility, because that waste region cannot be homogeneous, especially knowing that it has been always a crossroad of different peoples, kingdoms and civilizations throughout history. Thank you for your commentary, dear friend! Basically, you make four points. What follows is the main part of my response as per the above structure. Bear in mind, if you please, that this is merely a synopsis. You say “we have been taught at Al-Bayt University (Jordan), even before the Islamic expansion (al-futuhat al-islamiyya), some Arabic tribes “. Within the context of modern academic disciplines, to give an example, there is ‘History of Ancient Egypt’, and there is ‘History of Egyptology’! The history of the modern academic disciplines per se is an important field to also study, if one desires really in-depth understanding. Several stages of knowledge acquisition and synthesis have passed ever since Champollion deciphered Egyptian Hieroglyphics and Rawlinson decoded Assyrian-Babylonian cuneiform. Many mistakes have been corrected in the process; and many alterations have been added! Such fields as History of Assyriology, History of Iranology, History of Indology, History of Islamology, etc. reveal a tremendous amount of insightful as regards how we came to conclude what he have drawn until now as conclusion in each of the aforementioned fields. With the colonial presence active and destructive on Ottoman soil under many different forms, one can easily understand that the Western Orientalism did not reflect a genuine interest for discovery of the past and exploration but soon turned out to be a multi-layered tool against the past, the present and the future of the Orient. In a way, it was a real robbery of the Oriental past, and by this I don’t mean the criminal, illegal and only provisory transportation of Oriental Antiquities in Western museums, libraries, institutes, research centers, universities, palaces, public places, auction houses, and ultimately privately homes. The worst robbery occurred at the theoretical, academic, intellectual, educational and cultural level. The collection of a sizable material record of Oriental Antiquities and its study and interpretation turned soon out to be not a true reflection of the historical past but a false projection of Western concepts, ideas and theories into the past under study. The new academic disciplines of Orientalism, instead of properly and effectively rectify the earlier acquired material record of ‘Classical’ (the term is false) Greco-Roman Antiquities, were only adjusted to it to help it expand. The ensued ‘systematized falsehood’ was not only diffused among the Western countries (due to the phenomenon of academic competition in an era of acute nationalisms) but also enforced in the colonial academic and educational institutions that emerged – with the deep involvement of the colonial Orientalist academia – in all these fake countries. But, by accepting the Western ‘systematized falsehood’, the modern Oriental students and scholars (who were formed under supervision of the Western Orientalists) only gravely undermined the importance of their countries’ past, severely minimized the value of their past in their nation-building process, and finally contributed to the formation of fake modern Oriental nations that are detached from their past and left without a diachronic cultural identity. Here, it is good to remember the French expression ‘bon pour l’ Orient’ (lit. ‘good for the Orient’) which implied that the product under discussion was not to be consumed or used in the Occident (by Westerners – due to its lower quality specifications)! All colonial academic institutions that were setup by Western academia on the soil of Ottoman provinces and in other Oriental lands were not proper copies of the Western universities and did not diffuse the same quality and depth of knowledge. Their Orientalist masters allowed these institutions to teach / diffuse in the Orient only the portion of their knowledge that would not make the Oriental academic institutions able to rival with their own Occidental establishments. Above all, these colonial academic-educational institutions were guided by their Orientalist masters to diffuse academic knowledge altered in a way that it would not be easy for the Oriental students (Algerian, Egyptian, Lebanese, Sudanese, Yemenite, Iraqi, Iranian, Pakistani, Indian, etc.) to realize that the Western ‘systematized falsehood’ – deliberately, viciously, and against all declared Western academic values – diminished the value of the Orient and the achievements of the Oriental civilizations in order to subordinate them to the Western historiography (the values of which – quite contrarily – were extremely maximized to appear as global). Several scholars like Edward Said criticized Orientalism, whereas others like Martin Bernal (in his monumental ‘Black Athena’) attacked the Western ‘systematized falsehood’ at its very epicenter, demonstrating that the ‘Classical’ civilization was subordinated to the Oriental civilizations. But to no avail! In the universities of Jordan, Egypt, Iraq, Syria, Sudan, Yemen, Turkey, Iran, Pakistan, all the staff members keep promoting – pathetically, idiotically and self-disastrously – the colonial ‘systematized falsehood’ that prevents them from really assessing the greatness of the Orient in its correct dimensions, from truly evaluating the historical truth and continuity of the Orient, and from detecting the detrimental harm that the Western system, which they studied (either in Paris or in Madinah), has done to their own countries, their nation-building process, and their historical heritage. However, the issue is far wider and permeates all disciplines of Humanities. In fact, behind Pan-Arabism (a false theory the beginning of which is retraced back to Jurji Zeydan and his Nahda movement) is hidden the (exported to the respective lands of the Orient) version ‘bon pour l’ Orient’ of the Western discipline of Arabology. But the origin of the Arabic studies in Western universities goes back to the 18th c.! The Western ‘systematized falsehood’ took more than a century to produce Pan-Arabism. One can expand up to writing books and books, but here suffice it to say that the ‘systematized falsehood’ is a perplex and multileveled affair. It does not only involve inaccuracies within one specific specialization field, but it also entails a severe detachment of each specialization field from other related fields. It goes up to the level of …. prohibition of an entire academic discipline! Once, I published an article – plead for a forbidden science: Aramaeology. k) History of Northern – Northwestern Africa form Carthage to the Islamic Arrival. The aforementioned are 11 (eleven) courses in total that should be compulsory for a syllabus of 28 courses leading to a Bachelor of Arts in History of Early Islam. Certainly, the above eleven courses are not offered in the respective faculties of the regional universities from Morocco to Uzbekistan to Indonesia! Why? Because all the universities – be they state, private or religious – in the wider region of Islam are mere colonial products and therefore not one among their staff members commands a comprehensive knowledge covering all aspects related to the History of Early Islam. Consequently, no one can put the correct syllabus down on a piece of paper. In this subject, the support offered to the Arabization fallacy is epitomized in the following words: “some Arabic tribes did come out of Arabian Peninsula to live at the Northern parts, such as Palestine and Jordan. Or, at least, after the Islamic expansion, most of the tribes of Adnan (Northern Arabs) or Madar and Qahtan (Southern Arabs from Yemen) moved to Iraq, Sham and Egypt with the armies and settled there. So, that is one of the reasons why the autochthonous populations were Arabized. Here, reading these few lines, one gets the impression that, in the middle of the 7th century, Mesopotamia (there was no ‘Iraq’ by that time – in fact, this was a new name just brought to use by the invading armies), Syria-Palestine, and Egypt were almost … uninhabited! Also, the aforementioned lands are wrongly divided in the above manner. In fact, these lands did not belong to independent countries; at the times of Prophet Muhammad’s early life, they were parts of the Eastern Roman Empire and the Sassanid Iranian Empire. But the local populations were basically Aramaeans (in the Asiatic part of the territories referred to) and Egyptians – Copts (in Egypt). Because of the constant Roman – Iranian wars, the borderlines between Syria and Mesopotamia used to change almost every year, but the local population was always Aramaean. The Aramaeans spread first from the desert to the neighboring lands of the Fertile Crescent around 1100 BCE and, after they were organized in several small kingdoms for many centuries, they were successively ruled (at times partly and at times entirely) by the Sargonid Assyrian, Nabonid Babylonian, Achaemenid Iranian, Macedonian, Seleucid Syrian, Arsacid Parthian, Roman, Sassanid Iranian and Eastern Roman Empires. In few cases, there were some relatively small, independent Aramaean states in the Late Antiquity (539 BCE – 622 CE, i.e. the period going from the rise of Achaemenid Iran to the rise of Islam), such as Urhoy, Hatra, Palmyra, Adiabene and Rekem/Petra. Centuries before the arrival of Islam, the Babylonians, the Phoenicians, the Philistines/Palestinians, and the Jews had been progressively assimilated among the more numerous Aramaeans. For most of the cases, Euphrates (Furat) river was the border between the Romans/Eastern Romans and the Sassanid Empire of Iran, so we are rather on the safe side, if we generalize saying that regularly Syria – Palestine was Eastern Roman (the term ‘Byzantine’ is another fallacy diffused by the promoters of the ‘systematized falsehood’) and Mesopotamia was Iranian. After having been the capital city (323-64 BCE) of the vast Seleucid Empire (that stretched from Central Turkey to India and, following the formation of Arsacid Iran at 250 BCE, only from Central Turkey to the Persian Gulf – always including Syria and Palestine) that was the main rival of the Egyptian state of the Ptolemies for about 250 years, Antioch became a major city – patriarchate of Eastern Christianity. This means that Antioch was as big and as important as only Constantinople, Rome and Alexandria within the entire Roman Empire, Eastern and Western. To better visualize the School of Antioch – School of Alexandria antithesis, it is quite advisable to compare it with the four schools of jurisprudence (madh’hab of fiqh) in Sunni Islam, namely those of Al Shaffi’i, Abu Hanifa, Malik bin Anas, and Ibn Hanbal. But there was bitter theological rivalry between the two Christian cities, and it was due to even greater differences at the underlying level of thought structure & systematization, and logic & logic philosophy. Why does one need to expand to all this? Because the historical falsification as per which the aforementioned areas were arabized imposes any objective researcher and scholar to duly contextualize the event of the early Islamic expansion. To fully demonstrate that the term ‘arabization’ constitutes the epitome of colonial falsehood, one has to place the early Islamic invasions (and the ensuing settlement of certain populations in the areas under discussion) within the correct context. However, any historical event exists only within a context and without it, it is void and null. At the times of Prophet Muhammad, the population of only one city, namely Antioch, was much larger than the entire population of all the Arabs together (anything between double and triple). Yet, the Arabs were then inhabiting a sizable area, notably the mountains of Hedjaz (the Western part of the Peninsula between Yemen and the Gulf of Aqaba) and the desert (the central part of the peninsula). The same is also valid for Alexandria in Egypt, and for Tesifun (Ctesiphon) in Sassanid Mesopotamia (south of today’s Baghdad), which was at the time one of the two major Iranian capitals (Iran had always many capitals at the same time) along with Istakhr, which was located beyond the Zagros Mountains in Fars (near today’s Shiraz). Samaria (today’s Nablous) – the old capital of the ancient state of Israel that consisted of the ten tribes of the Hebrews, whereas the state of Judah regrouped the other two tribes. The local population was Chaldaean Aramaean and constituted the earliest Aramaean settlement in Palestine, as they were transferred from Southern Mesopotamia by Sargon Emperor of Assyria immediately after he invaded the Israelite capital and transported the entire population of Israel to the NE confines of the Assyrian Empire (722 BCE). 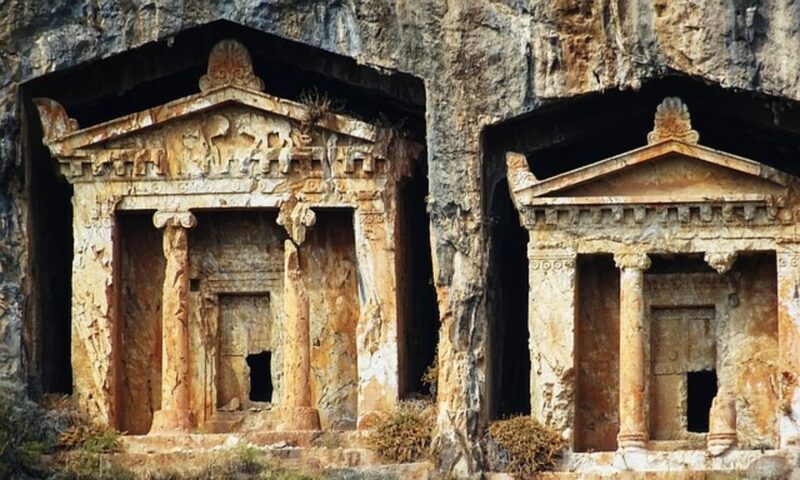 Here, we cannot mention either Rekem – Petra (capital of the Aramaean Nabataean kingdom / 168 BCE – 106 CE) or Hegra – Mada’in Saleh (second capital of the Nabataean kingdom) because they both were progressively abandoned after the collapse of the local Aramaean kingdom. The above list is not exhaustive. Smaller cities like Jerash in Jordan or Apollonia of Palestine are not included. To establish a complete topographical list of the local towns, villages and hamlets, one would include thousands of inhabited places. The total population of Eastern Roman Syria – Palestine must have been around 5-6 million people in the early 7th c. CE. At those days, the Eastern Roman Empire, according all serious approximations, totaled 20 to 25 million people living in today’s South Balkans, Turkey, Syria-Palestine, Egypt and North Africa. The same concerns Mesopotamia in its totality – either totally controlled by the Sassanid Iranian Empire or shared at times between the Iranians and the Eastern Romans. There were many densely populated cities except the vast capital, Tesifun (Ctesiphon). It is rather safe to claim that Mesopotamia was more populous than Syria – Palestine, as this had always been the case. The Sassanid Empire totaled a population larger than that of the Eastern Roman Empire as it also controlled Central Asia and the North of India; it was however less centralized. According to some estimates, in the early 7th c. CE, the Sassanid Empire totaled 25 to 30 million people. In face of the above mentioned, the inhabitants of Arabia in the early 7th c. CE did not total more than two to three hundred thousand (200000-300000) people. We know this as we know the approximate population of the cities where Prophet Muhammad lived or moved to, and the number of fighters who were engaged in battles that took place in order to prevent Prophet Muhammad’s rise of influence. In any case, key Greek and Roman historical records dating back to the 1st and the 2nd centuries of the Christian era provide us with significant details as regards Arabia, and the documentation we get from them is quite sufficient for estimations, considerations and comparisons. Texts like the Periplus of the Red Sea (composed by an Alexandrian Egyptian merchant and captain around 70 CE) and the Geography of the Egyptian Alexandrian scholar Ptolemy (around the middle of the 2nd c. CE) are in this case as valuable as the geographical references to the area made by the great Roman scholar Pliny the Elder in his Natural History (Historia Naturalis). It is to be always kept in mind that for several centuries the Roman Empire controlled a vast part of today’s Saudi Arabian territory (its NW corner) and more particularly the city – harbor of Leyke Kome (‘White Town’) which is identified with modern Umm Lajj on the coastland – although identification with al Wajh would be more conservative. Similarly, we know very well that Sassanid Iran occupied the entire coastland of the peninsula in the Persian Gulf (i.e. the coastlands of the modern states of Iraq, Kuwait, Saudi Arabia, Qatar, Emirates and Oman) where the indigenous population was Aramaean. On the other hand, we have also to keep in mind that Najran belonged to Yemen and was inhabited by Yemenites, who are not Arabs, and the same concerns the Omanis. Only the desert and the central part of Hedjaz were inhabited by Arabs in pre-Islamic times. Makah at the times of Prophet Muhammad was an unimportant village of 5-6000 (five to six thousand) people. Yathrib (later known as Madinah) was one of the few big cities of the Arabs or even the biggest, but it still could not even be compared to one of the aforementioned big cities of Syria, Palestine or Mesopotamia. Sargonid Assyrian and Nabonid Babylonian control was extended over Yathrib which is first known thanks to Mesopotamian cuneiform literature more than 1200-1300 years before the emergence of Islam. Named Yathribu, the then small and peripheral city was the location of the summer palaces of the Nabonid kings, probably because of the prevailing weather conditions and the mild summers. At this point, it is easy to recapitulate. The pre-Islamic migrations of Arabian Peninsula tribes to Syria and Mesopotamia (Eastern Roman Empire and Sassanid Iranian Empire) are rather a matter of legend and not a proper historical record. Although it is certain that they happened, they were rather migrations of reigning families, which is very common across History; they were indeed accepted and welcomed locally by indigenous populations oppressed by foreign occupation soldiers, as the Aramaeans were heavily taxed and persecuted by the Eastern Roman and the Sassanid Iranian administrations. The emigrated populations do not therefore represent but a small number of fighters and their families, and this means in every case only a few thousands of people (3000 – 5000) at the most. But even if we accept the hypothesis of the emigration of an entire tribe, again the number cannot be higher than 15000 or 20000 people, which is a tremendously high number of people moving, but still of minor importance for the millions of indigenous settled populations, namely the inhabitants of Mesopotamia, Syria, Palestine and Egypt. The settlement of immigrated populations may perhaps acquire some importance at the strictly local level, e.g. the area where they exactly settled. But again, in this case, it is crystal clear that the immigrated tribes were sooner or later assimilated to the settled populations that they encountered in their final area of settlement. However, any tribe originating from Ancient Yemen was not Arabic but Yemenite tribe, so quite different; this will be discussed later in this article. It is however true that, after the Islamic invasions, many soldiers settled in diverse places, and mainly in the area of the first capitals of the Caliphate, namely Syria (Damascus) and Mesopotamia (Baghdad), if not for any other reasons only to ensure the new Islamic state’s administration and defense. But who and how many were all the soldiers of the early Islamic armies – and when? Only correctly formulated questions can lead to correct conclusions. And to properly approach and understand the subject of the early Islamic armies, we need to answer the above, tripartite question. Why? Because a great part of the existing confusion / misperception of the event hinges on exactly this point: not all the details concerning the soldiers of the early Islamic armies were properly studied and taken into account, when the verdict was announced in favor of the arabization. Many view indeed the event of the early Islamic invasions as a one-moment monolith. That’s pretty absurd or deliberately / suspiciously wrong. A historical event that spans over 20 years, from the 630s to the 650s (to limit it to its main part), represents the historical evolution of an entire generation. In other words, it is not an event anymore, but rather a historical process. This automatically means that the ethnic (racial) composition of the early Islamic armies changed progressively from 633-4 to 640, to 645, to 650. As one victory succeeded another from 633 to 711, a certain number of indigenous people in Palestine, Mesopotamia, Syria, Iran, Egypt, Anatolia, Caucasus, Central Asia, North Africa, India and in the Iberian peninsula adhered to Islam, and started participating in the next stage of the expansion. What follows is a brief presentation of how and why this happened in a way that is still concealed from most! After the Arabs accepted the Prophet Muhammad’s calling, Ali preached in Yemen’s (then new) capital Sanaa in 630, two years before the Prophet died, and all the Yemenites and the Omanis accepted Islam peacefully. As Yemen and Oman were provinces of Iran, it is very remarkable that even the Iranian chief administrator accepted Ali’s preaching. Yemen had a much larger population than Arabia itself, as ancient records clearly evidence; texts like the Periplus of the Red Sea, Ptolemy’s Geography, Cosmas Indicopleustes’ Christian Topography (written only 20 or 30 years before Prophet Muhammad’s birth), and the much hated by the biased Freemasonic Orientalist scholarship text ‘Laws on the Homerites’, i.e. the legislation of the Ancient Yemenite state of Himyar by Saint Gregentios, Archbishop of Taphar (dating in the 1st half of the 6th c. CE) include extensive and valuable information in support of the aforementioned estimates of population. This means that at, until the death of Prophet Muhammad, Ali had already brought to Islam more people than Prophet Muhammad himself! At those days, the entire population of Yemen may have totaled 1 to 1.5 million people, thus outnumbering the Arabs by 5:1 to 7:1. The fact that Yemenites are totally dissociated from Arabs ethnically, linguistically and culturally will be discussed later. The normal consequence of the above realty is that, when the wars started between the Islamic Caliphate on one side and the Eastern Roman and the Sassanid Iranian Empires on the other, the very early Islamic armies (633-639) consisted of Arabs, Yemenites, Omanis, and few Persian and Roman new converts and proselytes (the likes of Salman al Farsi, etc.). Following the acceptance of Islam by non Arabs, Yemenites and others, it was very common for Arabs to give Arabic names or nicknames to the new converts and proselytes (thus, for example, Salman al Farsi was also called ‘Abu Abdullah’), but this did not make of them Arabs – in anything. However, at a later stage, when the Islamic armies fought at Nahavand (in the Zagros Mountains that separate today’s Iraq from Iran) and besieged Alexandria in Egypt (642), the combat forces were made of Arabs, Yemenites, Omanis, and Aramaeans from Syria, Palestine and Mesopotamia – areas that had just been invaded few years ago, during the period 633-639. In just 5 years after Islam went out of the peninsula, a very remarkable part of the Islamic armies (1/4 to 1/3 by modest estimates) was composed of soldiers who were not native Arabic speakers. Subsequently, in the later stage of the Islamic expansion (650-711), Persian soldiers may have fought in Spain, and Egyptian soldiers may have fought in Northern India. So, Arabs became progressively a minority in the Islamic armies. At that level, the personal names of the soldiers mean absolutely nothing, because to Copts, Aramaeans, Persians, Berbers and others, adhesion to Islam meant immediate acquisition of Islamic personal names in Arabic. We know from crosschecked sources that even in the critical middle stage of the Islamic expansion (640-650), the Islamic armies were not numerous (ex. 30000 soldiers in the battle of Nahavand). Even if we suppose that all of them were Arabs (and we know that they were not), that all of them settled in only one of the newly invaded lands, for instance Syria (and we know that they did not limit themselves in only one), again we have to admit that their numbers were so minimal that they were finally assimilated among the indigenous populations, i.e the Aramaeans or the Copts, the Berbers and others. As regards the Arabization falsehood, there may be two more points to discuss, e.g. linguistic arabization and cultural arabization. Academia and intellectuals supporting the Orientalist hoax often refer to these points that are however null. Linguistic arabization does not mean or imply anything; within few generations and quite recently, African Americans became English native speakers in the US, and they forgot their past native languages that they were still speaking when they forst set foot on American soil. However, they did not become Indo-Europeans, or to put it more specifically Anglo-Saxons, as regards their ethnic origin. Neither can one ascribe them to the average English or White American culture. To some extent, the arabization hoax survived for so long, only to confuse everyone and have political ramifications of calamitous character (Pan-Arabism, Arab Nationalism, etc. ), because there was something important missing in the syllabuses of departments specializing on History of the Islamic World. As a matter of fact, it is very wrong to study Early History of Islam as only Political History or History of Religion – and this is what happened until now either in the West or in the fake states that were formed after the dissolution of the major powers of the Islamic World, i.e. the Ottoman Empire, Safavid Iran, and Mughal India. In fact, the most important dimension of the Early History of Islam, which remains highly disregarded and unstudied, lies within the field of History of Civilizations (and Cultures) – a far wider field whereby every religion is widely contextualized and highly parameterized. Actually, if we intend to study the diverse acculturation phenomena that took place in the 7th c. CE onwards due to the preaching of Islam by Prophet Muhammad, we have to focus primarily not on the Aramaeans and the Yemenites, but on the Arabs. In critical terms of Cultural Studies that have to apply in this case, the Arabs by accepting Islam, were profoundly, drastically and irrevocably aramaeanized and fully acculturated among the Christian Aramaeans. Islam viewed (not within the narrow context of religion but) as Culture was the most complete rejection of the earlier Arabic culture, legends, narratives, cults, beliefs, attitudes and – generally speaking – behavioral system. Aramaean culture, legends and narratives, as evoked by the new religion, replaced Arab culture following the preaching of Prophet Muhammad. It is only because of the biased, anti-Islamic attitude of the West that scholars and researchers specializing in Early History of Islam did not notice that, before and after Hijra, the opponents and enemies of Prophet Muhammad did not reject a new religion (because Islam had not yet been fully articulated) but disparate religious ideas and concepts (those preached by one of their compatriots who was neither a local magistrate nor a priest of an already known religion) that – all – constituted the foremost rejection of what had been known among as Arab culture. In fact, they reacted and opposed his teachings because what he evangelized was alien to their nomad Arab culture and drastically opposed their behavioral system to which they wanted to stick. Ages old, anti-Islamic hatred and hidden political motivations against the entire Islamic World were the reasons for which 18th and 19th c. Orientalists and Islamologists deliberately left vast fields of research and exploration unexploited and unstudied, because it was crystal clear to them that the end result would not correspond at all to their prefixed ideas and pre-arranged conclusions. As it happened, 20th c. Islamologists continued advancing on the footsteps of their predecessors and in the process a wide area of academic exploration remained terra incognita. To put it correctly, at the times of Hijra (622 CE), Islam was actually a ‘new’ religion only to Arabs – not to Aramaeans! Almost all the subjects discussed within the Quran and the Hadith at the times of Prophet Muhammad were known to Aramaeans (either exactly as preached or slightly different), but not to Arabs. By this, I don’t mean that the verses of the Quran were already known in the very form in which they were uttered, but that the underlying concepts, stories, and narratives, as well as the ensuing mindsets, mentalities, attitudes and behaviors preexisted. In this regard, there are plenty of examples. The entire cosmology of Islam, the narratives about the Creation, the expulsion from the original Paradise, the deviance of the early mankind, the morals of the Sodom and Gomorrah people (as reprimanded and castigated by God in the story of Lot / ch. 26, 160-171), and the Flood (involving Prophet Noah – Nuh), the stories about the Pharaoh, Moses (Musa) and the Exodus, about Jonah, and the moral concepts and values that they represent, the rejection of the Christian theory about Jesus’ divinity (which had already been rejected by the great Christian theologian and Ecumenical Patriarch of Constantinople Nestorius 130 years before Prophet Muhammad was born), a great number of religious practices involving prayer, prostration, fasting, etc., the ensuing ethics and morals, attitudinal and behavioral systems preexisted among Aramaeans. Particularly, the Nestorian Aramaeans’ values, behaviors, knowledge, science and esthetics heralded in a way Prophet Muhammad and, after the diffusion of Islam beyond the peninsula, took the central part and played the main role in the rise of the Islamic Civilization. Arabic writing is in fact a later deformation of the Syriac Aramaic writing. For this reason, early Islam did not appear to the Christians of the times of Prophet Muhammad as another, distinct, religion but rather a new form of heresy or a radical reassertion and rehabilitation of Nestorianism. The implantation of Aramaean culture among Arabs through Islam and the early acculturation of the Arabs among the Aramaeans were the main reasons for which the populations of Syria, Palestine and Mesopotamia were immediately favorable to the Islamic armies and did not support the defense of the country to which they belonged – either Eastern Roman Empire or Sassanid Iranian Empire. The aforementioned reality has been concealed at a global academic – educational – intellectual level, because it severely harms the ‘systematized falsehood’ that Western academia wanted to impose and did actually impose worldwide as regards the early Islamic expansion. At this point, one must take into consideration that the imposition of the ‘systematized falsehood’ did not occur only in Western universities and in the derivative establishments setup in colonized countries but also within the so-called Islamic universities (the likes of Al Azhar and Madinah universities) whereby misleading, constrained and trimmed, de-contextualizing syllabuses exist only to obscure students and perpetuate the prevailing ignorance of the real History of Islam among Muslim academics. As per the promoted and imposed Western ‘systematized falsehood’, the Islamic expansion phenomenon is called ‘Muslim / Islamic invasions’ or rather ‘Islamic / Muslim conquests’ (the last option is the title of the Wikipedia entry), and it is depicted as involving extensive bloodshed, fierce battles, and cruel attitudes that were supposedly imposed on an otherwise peaceful Christian Mediterranean world by some barbarians. In other words, Islam is depicted an external threat and an impending danger, whereas quite contrarily all the constituent elements of the Islam can be found on Eastern Roman territory. In this regard, it is useful to add that Oriental Christianity has also been deliberately kept unknown to all Western Christian schoolchildren and students (with the exception of the very few researchers who begin their specialization in this topic only in their postgraduate studies). It is definitely paranoid for a Western schoolchild and student to be given through their general education more info about India, Buddhism, and China than about Constantinipolitan Orthodoxy, Coptic and Syriac Monophysitism, East Aramaean Nestorianism, and Oriental Christianity. This hiatus is deliberate and serves the Western academics, who are the promoters of the ‘systematized falsehood’, to firmly dissociate and disentangle Islam from the Christian world. This viciously contradicts all the historical evidence. It is therefore not just a lie, but a criminal falsehood geared to be a time capsule for repetitive use any time the Freemasonic political establishment of the corrupt West intends to tarnish and demonize Islam. And the aforementioned analysis of the fact that the Orient was never arabized but, quite contrarily, the Arabs have been aramaeanized through Islam clearly demonstrates that the Western negative portrait of the early Islamic expansion is totally false. Islam as Culture and Civilization was developed under determinant Aramaean impact and was never an external factor to Christians. Even more importantly, the most original Christians of the early 7th c. CE and those, who had more direct and correct info about the preaching of Prophet Muhammad, did not hesitate to either adhere to Islam or remain Christian and reject the Eastern Roman rule. This is of colossal importance because, in full rejection of the Freemasonic Orientalist colonial evilness and lies, it means that for the true Christians, the Islamic rule, administration and ‘political power’ (being wrong the term is used only conventionally here) is definitely preferable to the devious and evil Roman or Western control. In addition to the above, the assumption of ‘a pre-Islamic peaceful Christian world which was interrupted by Islam’s conquering armies’ contradicts all historical sources, being viciously false, heinous and criminal because of its implications. Before the arrival of Islam, the Perso-Roman wars were not the only conflict in the wider region. Within the Roman Empire, many theological disputes ended in ceaseless conflicts and bloodshed. The rise of Arianism against official Roman Christianity in the 4th c. CE resulted in endless wars, fights, cruel oppression, and hundreds of thousands of dead. Donatism, considered as another heresy, turned North Africa to a permanent battlefield and to a land of oppression in the 4th and the 5th centuries. Starting already in the 2nd and the 3rd c. CE, Marcionism and Docetism were considered as heretic theological schools and therefore persecuted. However, they survived across many centuries only to give birth to other theological schools which, under strong Gnostic impact, contrasted with Roman and Constantinopolitan Christianity, leaving even significant traces within Islam. The prominent position offered to Jesus by Mani in his new religion (Manichaeism – Manawiyah in Arabic), which was preached in Ctesiphon (the Iranian capital at Mesopotamia) 400 years before Prophet Muhammad, confused Christianity while offering the newly risen Sassanid dynasty an excellent tool to attract Christian populations to a religion that incorporated elements of Gnosticisms, Christianity, and Zoroastrianism. Manichaeism had an extraordinary expansion, without war, through trade and ideological mobilization, from the Atlantic to the Pacific. Despite the great impact that Manichaeism had across the Roman Empire, it was bloodily persecuted, and the same occurred later in Iran as well, when Mazdeism (a reinstatement of the Zoroastrian orthodoxy) prevailed among the Sassanids. Persecuted Manichaean communities from NW Africa, Egypt, Mesopotamia, Iran, Central Asia, and China left a voluminous material record without which it is absolutely impossible to assess the History of the Orient and therefore the History of the Islamic Caliphates. Even at its greatest expansion, Islam did not cover an area as large as that where Manicheans were dispersed worldwide – although they seldom controlled the administration of a country. The two strongest theological opponents of Official Christianity managed finally to control the patriarchates of Antioch and Alexandria in the 5th c. CE. Monophysitism is today the original form of Christianity accepted by the Copts, the Western Aramaeans (in Turkey, Syria, Lebanon, Palestine and Jordan), the Armenians, the Georgians, and the Abyssinians. Monophysitism is actually a derogatory term given to Monophysites by their Roman and Constantinopolitan opponents; whenever mentioned across this text, it is used conventionally. The correct term would be Henophysitism; as theological system, it was the theoretical ‘child’ of the School of Alexandria. Following the rejection of the majority decision at the Council of Chalcedon (451) by the Monophysites, the schism became definite between the patriarchates of Rome and Constantinople on one side and those of the East on the other. Subsequently, Eastern Roman soldiers carried out plans of terrible persecution against the local populations. In few words, Monophysitism rejects the official Christian dogma that Jesus as Christ (Messiah) had two natures, i.e. divine and human, and stipulates that Jesus had only one. divine and human, nature. On the other hand, Nestorianism was the theoretical ‘child’ of the School of Antioch and was rejected in both, the Council of Ephesus (431) and the Council of Chalcedon. Eastern Aramaeans accepted Nestorianism overwhelmingly and Iranian Christians adhered to the dogma of Nestorius in their totality. Nestorius launched the Great Church of the Orient outside Roman territory and in the beginning many Nestorian Aramaeans moved from Eastern Roman Syria to Sassanid Iranian Mesopotamia. The result was that after the middle of the 5th c. CE (so, only 130 years before Prophet Muhammad’s birth), all the populations of the Eastern Roman Empire east of today’s Central Turkey rejected flatly the official religion of Constantinople. Nestorianism spread across Iran to Northern India, Central Asia, and China leaving evidence for more than 1000 years after Nestorius, who is also believed to be a Saint by the Christians of Malabar in Southwestern India. At the antipodes of Monophysitism, Nestorianism makes clear that Jesus had only a human nature, being thus far closer to Islam than any other system of faith. The fight of the terms took the forefront place of the polarization with the Nestorians introducing for Virgin Mary the term ‘Christotokos’ (Mother of the Christ) in flat rejection of the official Constantinopolitan term ‘Theotokos’ (Mother of God). Anti-Eastern Christian persecutions in the Eastern Roman Empire and the Sassanid Iranian Empire were as severe as the incessant wars between the two strongest states of the then known world. All these perplex, multifaceted and endless strives came to an end and different religions and denominations coexisted peacefully within the early Islamic caliphates (the Umayyad and the Abbasid dynasties). The rise of the Islamic Caliphates was a most beneficial event not only for those among the Aramaeans, the Persians, the Copts and the Berbers who accepted the new faith but also – and this is far more important – for those who preferred to remain Monophysitic Christian, Nestorian Christian, Manichaean and other and live under Islamic Rashidun (and later Umayyad and Abbasid) Caliphate rule rather than Eastern Roman tutelage or Sassanid Iranian scepter. This is clearly evidenced by texts like the Ta’rikh Batarikat al-Kanisah al-Misriyah by Severus ibn al-Mukaffa, Coptic bishop and historian, or the Chronicle of John of Nikiû. And this is exactly what the ‘systematized falsehood’ of the West does not want known to anybody about Islam. Even centuries after the Islamic expansion, the Oriental Christians preferred to live safely, securely, productively and peacefully under the Islamic Caliphate’s administration rather than to be exposed to the heavy taxation, persecution and cruelty of Constantinople or Rome. This is not strange at all. Anti-Islamism did not exist among the Christians of the early Islamic times; the wars fought were only due to the fact that the Constantinopolitan imperial power did not fully and irrevocably accept the permanent loss of their Oriental provinces. Only much later, Anti-Islamism became an influential political attitude in Western Europe; this happened only after the Pope of Rome, due to his military ineptitude, economic weakness, and political fragility was placed under Frankish political tutelage. The rise of the barbarian Frankish kingdom and the prevalence of Franks in Rome (800 CE) led to the First Great Schism (867 CE) between Constantinople and Rome, which was another Frankish trickery carried out in order to fully place Rome under Frankish control and offer the barbarian Franks the chance to alter / corrupt the Catholic Church of Rome from inside. Only after these developments, Anti-Islamism appears in Western Europe as a tool of Frankish political propaganda. In fact, the earliest texts of the Eastern Roman Empire that mention the explosion of Islam in Arabia (Chronicle Paschale and the Chronicle of Theophanes the Confessor) presented Islam as rather a Christian heresy, not an independent religion. This shows the religious – cultural vicinity of the two systems and, at the same time, demonstrates that the constant wars between the Eastern Roman Empire and the Islamic Caliphate between the 7th and the 11th centuries reflected basically economic and political interests and not a radical religious opposition or rejection. This is another key dimension of Oriental History that the modern Western falsifiers want the entire world not to know. Speaking about the Southern, Southwestern, Southeastern and Eastern confines of the Arabian Peninsula, one has to totally and irrevocably dissociate Yemen and Oman from the Pre-Islamic Arabs. The Ancient Yemenites and Omanis were not Arabs, and their languages were very different from Arabic, although they all were Semitic languages. Similarly, modern Yemenites are not related to Arabs in any sense, because Yemen accepted Islam without ever being occupied by a single Arab soldier. The so-called phenomenon of the Islamic invasions did not occur in Yemen, Oman, Somalia and the entire Eastern African coast – at all! And no Arabs settled in Yemen under any circumstances whatsoever. Ancient Yemen developed its own syllabic writing system at least 1000 years before the first pre-Islamic Arabic texts are attested in Hedjaz (and this happens as late as the middle of the 3 rd c. CE). The Ancient Yemenite kingdoms of Saba (Sheba), Qataban, Awsan, Ma’in, Himyar, and Hadhramawt are documented by the unearthed epigraphic evidence and they were also constantly referred to in Ancient Assyrian, Babylonian, Iranian, Greek and Roman historical sources. Oman was always an Iranian province, and we have attested Iranian occupation of Yemen in both, the Achaemenid period (550-330 BCE) and the Sassanid times (224-651 CE). Few years, after the Roman annexation of Egypt and the death of Cleopatra (30 BCE), Octavian sent the Roman fleet as far as Aden to destroy that wealthy city-harbor that controlled the Indian Ocean maritime trade and imposed heavy taxes on all products sent from India and East Africa through the Bab al Mandeb straits of the Red Sea to Alexandria and the Mediterranean world. Describing harbors, navigation details, trade centers, and products across the sea route of the trade (plus its land and desert extensions/ramifications) between the Mediterranean World, East Africa, India, Central Asia, Indochina-Indonesia, and China, the text Periplus of the Red Sea (written around 70 CE) offers a dramatic contrast between civilized Yemen and Arabia. Starting by paragraph 19 of his text, the author describes the navigation at the Eastern edge of the Red Sea. He refers to Leuke Kome (“White Town”) as the first harbour and port of call on the sailor’s way to the south. Since the departure is given not from Arsinoe (Suez) but Myos Hormos (the Mouse’s Bay), which corresponds to al Ghardaq – Hurghada in the Egyptian Red Sea coast, and the distance mentioned is 1000 to 1500 stadia (1 stadium equals 185 m), we deduce that Leuke Kome must be identified as the modern coastal town Al Wadjh. The text refers to the Roman military presence (“ekatontarchos”: a centurion, officer leading 100 Roman soldiers), Roman fiscal presence (“paraleptes tes tetartes”: a customs officer dispatched in order to get 25% of the passing merchandise as tax), as well as a land road to the Aramaic Nabataean capital Rekem / Petra of King Malichus (certainly Malichus II). The Roman garrisons ensured safety for the land trade, since the main part of the merchandises (sent to Rekem and further on to Jerusalem, Damascus, Antioch, or Palmyra) was transported from Yemen by sea to Leuke Kome. Who were the inhabitants of that place? Since Leuke Kome does NOT belong to ‘Arabia’, we can deduce that they were probably Aramaeans, possibly of the highly civilized Nabataean branch, since the text makes a striking differentiation between them and the Arab inhabitants of the coast immediately in the south of Leuke Kome. “Immediately after this port (Leuke Kome) starts Arabia, which is extended alongside a large part of the Red Sea. It is inhabited by various peoples and tribes, whose languages differ either a little or totally. The coastal zone features many groups of huts of the fish–eaters, whereas the inland includes hamlets and pastures, being inhabited by a people who speak two languages and have a perverted character. These people rob those who deviate from their sailing just in the middle of the sea, and come nearby their coasts. They arrest all the shipwrecked, so that they make later use of them as captives. That is why the Kings of Yemen attack them, and hold many of them as prisoners. They are called Canraites (note: this is the single time this term was used in Ancient Greek literature). Truly, any sort of navigation nearby the coast of Arabia is particularly dangerous, and this area is characterized by a lack of ports and offers few possibilities of anchorage, being full of perilous rocks, difficult of reach because of the rocky precipices, and awful from any viewpoint. That is why when we sail south, we navigate in the open sea, and as fast as possible, until we reach the Katakekavmene Neso (‘Scorched Island’). Immediately after that island, there are plenty of lands inhabited by civilized people, who have large cattle, and use camels for their trade and transportation”. “Beyond these areas, in the last bay of the coast that is extended on our left during our navigation, lies Mouza, which is an official (“nomimon”: controlled by the state) port of call. If we follow the correct navigation line to the south, it lies in a distance of 12000 stadia from Berenice. The city is exclusively inhabited by Yemenites, captains and mariners, and is burgeoning with commercial activity (lit. “the trade is exceeding”) since it plays a vital role in the commerce up to Barygaza, and in this business the Mouza people use their own equipment”. I think that further comments are not needed. As a matter of fact, in the middle of the 1st c. CE when the Periplus was written, the merged kingdoms of Saba and Himyar had replaced Qataban, and controlled the entire Somali coast of Eastern Africa as colony (from the Horn of Africa to approximately the area of Dares salaam in today’s Tanzania). Similarly, the kingdom of Hadhramwt had the island of Socotra as colony. Yemenites had excellent navigational skills and know how, having been the undisputed masters of the Indian Ocean navigation for almost 1500 years before the arrival of Islam. Whenever we refer to Islamic times’ navigation between the Arabian Peninsula and Eastern Africa up to China, we mean that it was almost exclusively in the hands of the Yemenite Muslims who by accepting Islam started using Arabic and gradually abandoned their native language. They were called Arabs, but in fact they were not Arabs. However, in today’s Hadhramawt, Socotra and North Somalia (Bossasso), two languages originating from the Ancient Yemenite languages have survived. Hundreds of thousands of people are native in these languages. Last but not the least, the decipherment of the Ancient Yemenite writing was done through constant comparisons with Ge’ez which is the writing system of the Ancient Abyssinians and at the same time the religious language of the Christian Abyssinian state of Axum. In fact, Ge’ez is a late Yemenite writing and the striking similarities helped scholars rapidly complete the decipherment of the Ancient Yemenite writing. This is not strange at all because the Abyssinians are just a Yemenite tribe that crossed the Red Sea and settled in the African coast in the second half of the 1st millennium BCE. The name Habashat has been attested in Ancient Yemenite epigraphic evidence as well. Speaking about the entire area of the Ottoman Caliphate (the term ‘Middle East’ being false and racist), one would however be wrong to conclude, in spite of the aforementioned, that the region has lacked homogeneity either historically or presently. Homogeneity does not exclude diversification. And diversification does not mean heterogeneity. In fact, before 500 years, there was an excellent, remarkable homogeneity among all peoples and nations inhabiting the vast area between Morocco and Indonesia, prior to the arrival of the Western European colonial powers. To move from the Atlantic coast to Buddhist Myanmar in 1530, one needed to cross only three borders, namely those between: a) the Berber Moroccan kingdom and the Ottoman Empire, b) the Ottoman Empire and Safavid Iran, and c) Safavid Iran and Mughal India. And despite all possible local wars among Muslim governments or conflicts between Muslims and followers of other religions in the wider region of the Islamic world, there was never hatred and evilness as much as after the arrival of the alien intruders, who came from Western Europe after they had already rejected Christianity and replaced it with Freemasonic Satanism in the backstage of politics back in their countries. It is only the presence of the French, the English, the Dutch, the Spaniards, the Portuguese, the Belgians, and the Americans that opened Pandora’s Box in Asia, Africa and America, turning high civilizations to utmost misery, excruciating poverty, abject materialism, fratricidal wreckage, and compact barbarism. They found a world that looked almost like a Paradise, and they turned it to the worst version of Hell.